This one took no time to finish because I couldn’t stop wondering how it would end. Major props to M.L. Stedman for pace and tension. Well played. It’s April 27, 1926. Tom and Isabel Sherbourne live on Janus Island, just off the Australian shore, where Tom works as the lighthouse keeper. They are the only inhabitants of the island and they prefer it that way, except they want a family. Despite their overwhelming desire to have a child, none of their babies live past birth. In her makeshift graveyard on a small part of the island, Isabel has just buried her third baby. The pain is unbearable. But then a dingy washes up carrying two people – a dead man and a live baby, no older than a month or two. It’s a sign. God has brought them a baby, or at least that’s how Isabel sees it. Tom is fraught with worry. Is it a sign? Where is this baby’s mother? Is it worth sacrificing more despair to write home and report their findings? Tom buries the man and they decide to raise the baby – Lucy – as their own. That is, until Tom cannot bear the lie anymore. The Light Between Oceans is a beautiful story about mothering, risk, and the weight of lies. It’s about forgiveness and sacrifice, and the romantic mission of lighthouse keeping makes for a whimsical backdrop. Read it. You’ll be glad you did. 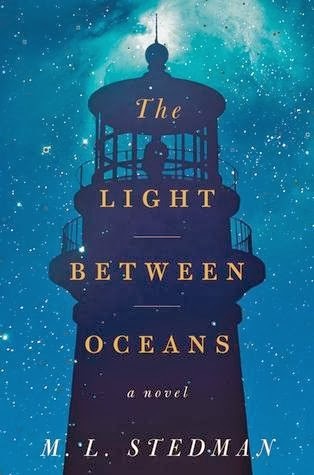 Buy The Light Between Oceans here.